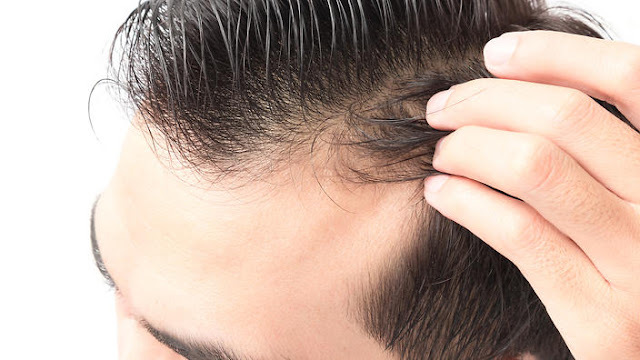 Being a hair loss sufferer isn't easy - in fact, it's one of the most demorolising things a man can go through. 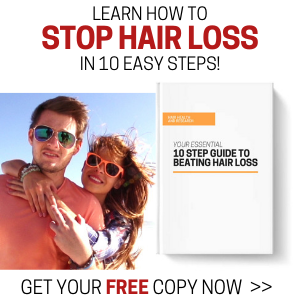 I can't even begin to imagine how difficult it must be for women to suffer from thinning hair. But that's another story entirely. I started losing my hair at the tender age of 21. I entered the whole balding process far earlier than most men, and it still haunts me to this day. I am now just 24, and I do believe I have taken charge of my hair loss, to a certain extent at least. I have a daily routine, and although it can be quite tedious at times, I do my best to stick to it, in the hope I'll get to enjoy my locks for a bit longer. At this stage in my life, getting to my thirties with my hair in tact would be a great achievement for me. So, the moment I realised I was set to become follically challenged, I decided to do something about it. I am a problem solver, and always have been, therefore somebody with a personality like mine was always going to try to fix the issue. I am also very realistic, and so I was under no illusions that my problem would be solved in an instant with a cure for male pattern baldness. 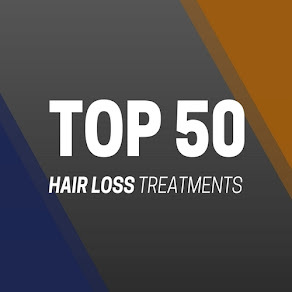 So, I knew from the very start that my best shot at this was to try and find a routine that would help me slow down the pattern of hair fall and maintain as much of my hair as possible. So, after some heavy research and a little bit of trial and error with treatments and products, I have now got my hair loss treatment routine firmly in place. I believe this routine has been working for me in the sense I shed less hair and seem to be maintaining what I have got. But who knows how effective this routine really is - it could all be in my imagination, of course. I work in a 9-5 office job, so my days are very consistent, which is great for any kind of routine. I tend to wash my hair every other night, mainly to save some time in the mornings. 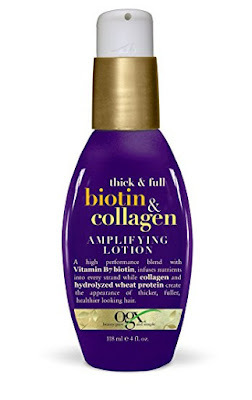 So, as I am getting ready, I apply a drop of Biotin & Collagen Amplifier to my hair right after I wake up. I let it soak in for about 15 minutes. Biotin seems to work really well on my hair, in whatever format, so instead of using potentially harsh hair styling products, I opt for the Amplifier, which gives my hair volume and boost. I then pop a 5,000mcg Biotin pill (you can purchase a pot of Biotin pills for well under £10), along with two pills of HR23+ Hair Health Supplement. HR23+ gives me all the vital hair additives needed for me to sustain a good, healthy head of hair. It really is a great supplement, and if you're wiling to spend a little more on your routine, I would recommend this product highly. I usually get around 30 minutes lunch break, so I take this chance to pop another pill - this time saw palmetto, but only 320mg. HR23+ already contains Biotin and Saw Palmetto, but I elected to add a little extra of each into my diet, because I just feel I need it personally. 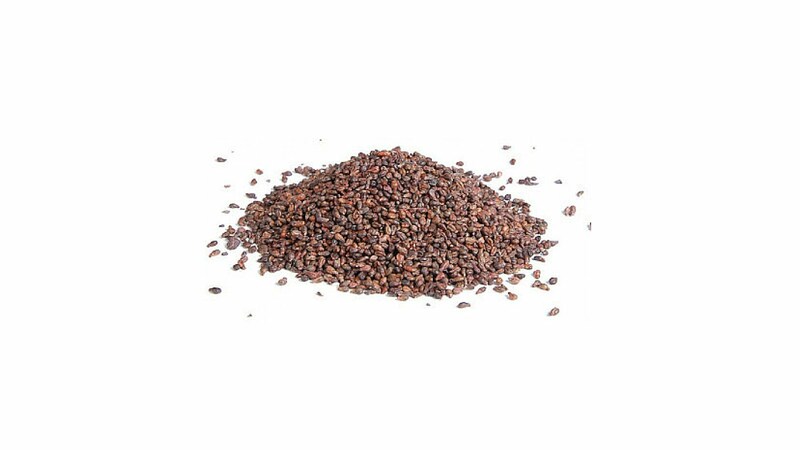 I would also advise you to be careful not to exceed 600mg of Saw Palmetto per day, as a precautionary matter. As far as food goes, well, I do tend to eat a lot of high-protein things such as eggs, nuts and a variety of meats. 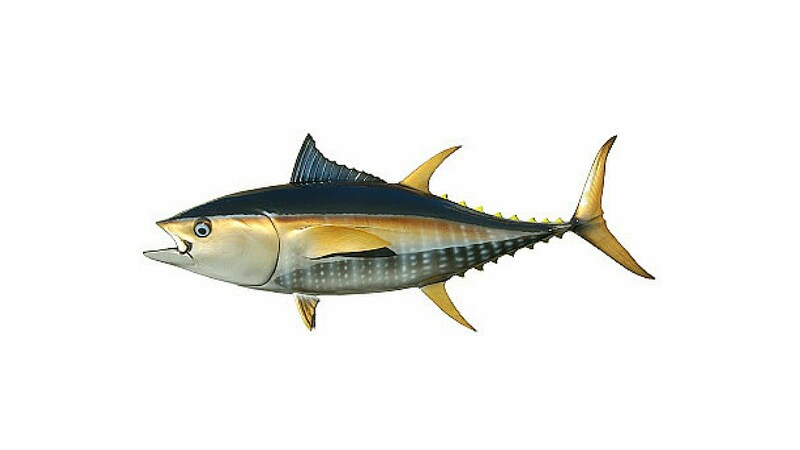 Tuna and salmon are excellent hair foods too, so I always try to implement these into my daily diet. 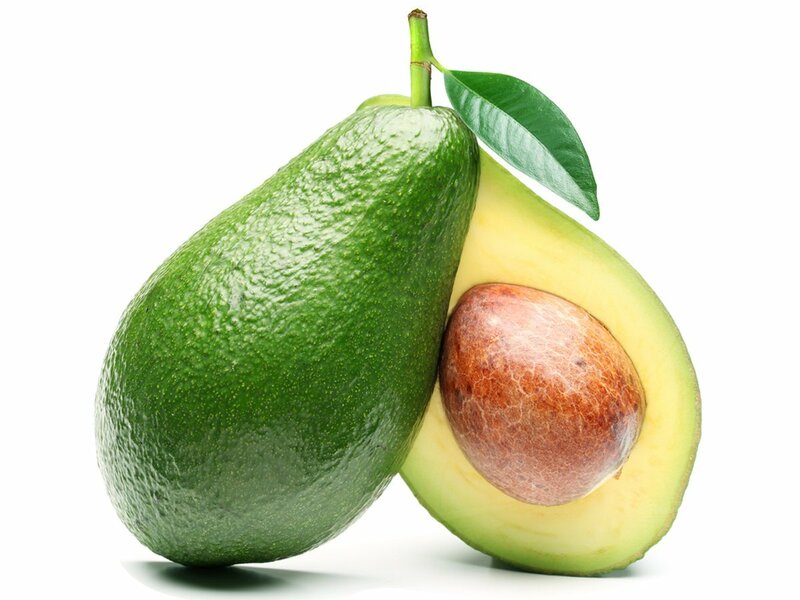 Avocados, beans and green apples are also meant to be very beneficial for hair growth. I don't know how much of my results are from what I eat, but there is no harm in eating healthy foods. 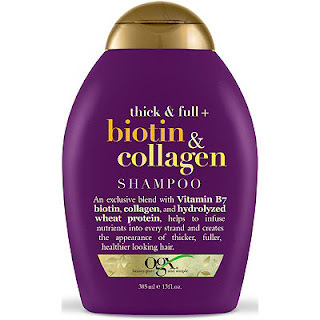 After a sneaky workout at the gym after work, I get home, take a shower - and every other day I use OGX Biotin & Collagen Shampoo. It's the purple bottle, and you can buy it for under a tenner from lots of places including Tesco and Boots. One bottle of this usually lasts me a good six weeks, so it offers very good value for money. Again, I do find Biotin to be an excellent vitamin for my hair growth, so I try and pack as much of it into my daily routine as possible, be it from the amplifier, the pill or the shampoo. It just works for me. Straight after my shower and before dinner, I pop my final pill of the day - Omega Fish Oil. I read somewhere that this is very good for combating hair loss, so I have been taking them ever since. Again I couldn't really tell you how effective it has been for me, but I shall continue to take them. You can get a whole tub for £12 or so. I then pop two more pills of HR23+ about an hour before bed (the recommended daily dosage is 4 per day) and that is pretty much it. I know it sounds like I take a lot of pills, but it really isn't that bad, even for someone like me who is constantly on the go. 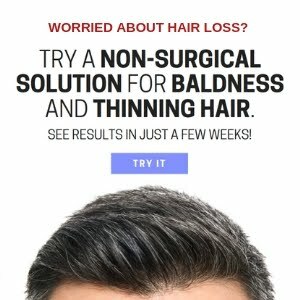 I feel like I am getting all the right vitamins and additives in my daily diet, which I was perhaps lacking up to the point of suffering from hair loss. Has this routine worked? I know, for sure, if I hadn't acted quickly, my hair would have been in a much more dire state right now. I feel like the pattern of hair fall has been halted, and my hair seems to be growing at a relatively normal rate. I'm not one of those guys who loves, or relies on it to portray some kind of image - the fact is, I would look kinda silly without my hair, which provided me with more than enough motivation to try and do something about it.